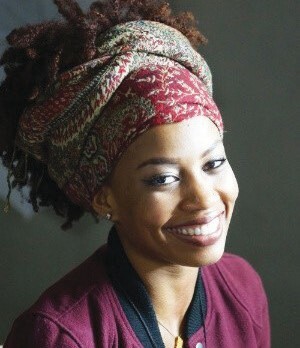 Savannah State University (SSU) dance faculty and 2016 National Geographic (NatGeo) Young Explorer Grant recipient LaQuinda Grimes will kick off an exhibition tour of her research on HBCU danceline style, culture & history, Friday, April 5. The documentary film, Brains, Beauty, and Blackness: An Ode to HBCU Dancelines, documents and preserves the HBCU danceline style and honors the women that spearheaded the movement. The accompanying exhibit will chronicle the roots and trajectory of HBCU dancelines across the southern United States. The film and the exhibit document the lives of the dancers, institutions and communities involved in HBCU dancelines. The artifacts include vintage uniforms and props. The exhibit will be housed in the Social Scienc versity, es Building Gallery through April 30. An opening reception with film screening, photographs, artifacts and performance will be held April 5, 6-9 p.m. The film screening will begin at 7:30 p.m. with a closing panel discussion at 8:30 p.m. This exhibit is open to the public but seating is limited. The NatGeo Society Young Explorers Grants is a grant program that provided individuals ages 18-25 some of their first opportunities to carry out field-based scientific research, exploration, and conservation. The program has since been phased into three grant applications that The National Geographic Society currently offers: Early Career, Exploration and Requests for Proposals. Established in 1890, Savannah State University is the oldest public historically black college or university in Georgia and the oldest institution of higher learning in the city of Savannah. The university’s 4,000 students select majors from 30 undergraduate and six graduate programs in four colleges — Liberal Arts and Social Sciences, Business Administration, Education, and Sciences and Technology.